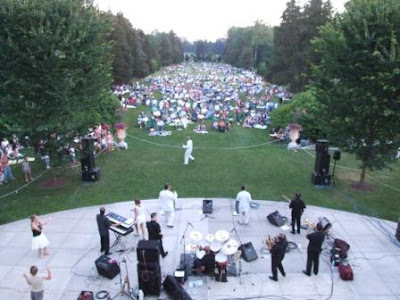 Wadsworth Mansion Blog: 2011 Summer Concert Series! To view the 2012 Summer Concert Series post, click here. The Friends of Long Hill present their 2011 annual summer concert series on the south lawn of the Wadsworth Mansion. We welcome guests to bring a picnic dinner and enjoy an evening with family, friends and great musicians. Grounds open at 5:30 p.m. and the concerts begin at 6:30 p.m. The event is free and you can find free parking at the Mansion, at the Wilbert Snow School: 299 Wadsworth Street, and at Mercy High School: 1740 Randolph Road.